Interstitial lung disease (ILD) describes a group of lung disorders that involve inflammation and damage to the tissues of the lung. This inflammation and damage can often lead to scarring of your lung tissues and can make breathing more difficult and impair your body’s ability to get enough oxygen into your bloodstream. The causes of interstitial lung disease are varied but can be a result of long-term exposure to hazardous materials, such as asbestos. Other causes include autoimmune diseases, such as rheumatoid arthritis, which can lead to interstitial lung disease. In most cases the cause is unknown and this is termed Idiopathic interstitial lung disease. Classically it was believed that once lung scarring ensues that the damage was irreversible. Now two very new and exciting drugs that break up the bonds between cells involved in scar formation have been approved by the FDA and the hope is that we can slow or reverse the scar formation in people with ILD. Over time, weight loss, muscle and joint pain, and fatigue are also present. Treatment depends on the cause of the disease. Drugs that suppress the immune system and reduce swelling in the lungs are prescribed if an autoimmune disease is causing the problem. Some patients with advanced ILD may need a lung transplant. 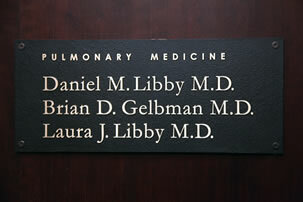 Many medications are used to treat interstitial lung disease (ILD) and its various symptoms. The goals of medication treatment are to make breathing more productive, reduce inflammation, and suppress overactive immune systems. Prednisone or some other form of corticosteroid, is often the first medication used for many forms of ILD. Increased appetite, weight gain, high blood pressure, salt and fluid retention, tendency to bruise easily, depression, psychosis, or hyper excitability, difficulty sleeping, tendency to develop diabetes, peptic ulcer, infections, cataracts and osteoporosis (weakening of the bones). Mycophenolate can be used to help reduce the amount of steroids required. It works to prevent the immune system from attacking cells in the body that result in fibrosis. Abdominal distress (diarrhea, cramping and nausea), sleepiness, fatigue and muscle or joint pain. Azathioprine is another medication that may be used to help reduce the amount of steroids required. Azathioprine is not typically recommended for treatment of people with Idiopathic Pulmonary Fibrosis. Fever, skin rash, abdominal distress (diarrhea, cramping and nausea) and blood disorders. Cyclophosphamide may be used if steroid therapy has failed to be effective or if corticosteroid treatment is not possible. In some cases, a combination of a corticosteroid and cyclophosphamide is used with good results. This medication reduces inflammation by killing some inflammatory cells and suppressing their function. Response to therapy may be slow and require up to 6 months or longer. Abdominal distress (diarrhea, cramping and nausea), bladder inflammation, bone marrow suppression, infection, irregular menstruation and blood disorders. Pirfenidone is an oral medication taken three times daily. The specific mechanism is unknown, but it seems to have anti-fibrotic and anti-inflammatory properties. Pirfenidone slows the progression of disease for some people with IPF. Nausea, loss of appetite, stomach upset and photosensitivity (a tendency to easily develop sunburn, this may be severe). Nintedanib is an oral medication taken twice daily. It is a triple kinase inhibitor that blocks several pathways that lead to the development of scars. Like pirfenidone, nintednib slows the progression of disease for some people with IPF. Diarrhea and less often nausea and vomiting.